Tembisa Lifestyle Market is a market for creatives and creators. It’s a place that offers space for young business people to promote their businesses, goods and services. The market is based at Tembisa, Sangweni section. 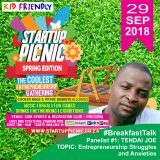 The venue currently has t-shirt makers, vintage fashion, local designer fashion stalls, a tattoo studio, art stalls, a photography booth, food and drink stalls. The market is also social space for people looking for a different vibe on the weekend. Plans are in place for an array of activities such as social dance lessons, onsite music lessons, and documentary and films screenings. Here is what Lebo Mukansi had to say to a few questions we had for him. 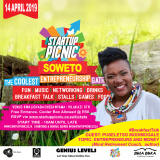 STARTUP PICNIC (Sindi Cele): Tembisa Lifestyle Market is an excellent unique concept for entrepreneurs to showcase their business and talents. What angle did you use in starting the market? 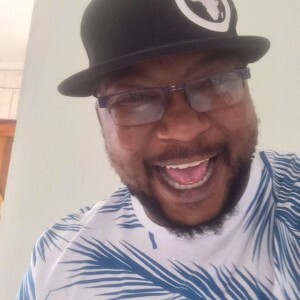 Lebo: Free Stalls….We decided that our stalls would be free. When we started the business, we invested a lot of energy in understanding the challenges that small business face and we identified funding, day to expenses and little investment in marketing their business. Our aim was to provide a platform for entrepreneurs to grow their businesses at a steady rate and develop a networking platform. 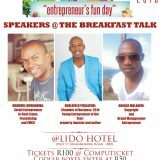 Is there any link between Tembisa Lifestyle Market and your previous entrepreneurial ventures? The Tembisa Lifestyle Market is result of having been a founder of many other marketing, digital and investment start-ups. Those businesses taught me that one needs to start somewhere and that we should all as entrepreneurs be helping prospective entrepreneurs and support them. Are there any challenges you’ve overcome with Tembisa Lifestyle Market. secondly We have been able to keep our stalls free by finding finance elsewhere in the business. We hear you are moving to Nigeria, How did the move come about and what happens with Tembisa Lifestyle Market? The Tembisa Lifestyle Market will carry on growing in my absence, we have a very capable team and partners. Nigeria is part of my own personal development plan and was part of my goal of realising my dream of doing business and working on the continent to become a fully-fledged African communications strategy expert. 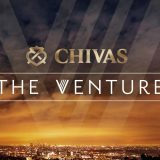 Looking back, what’s the one thing you wish you understood about entrepreneurship before you ever started? People management: I wish I had studied psychology so that I could have been more prepared to deal with vast array of peoples issues as well as how to encourage people and keep them focused on the goal. But also one could have used this knowledge to read people better in negotiations. Success; no matter what endeavor, is difficult to achieve. We all fail sometimes. When we do, it’s easy to feel down and feel self-pity and ask ourselves questions like why are they not recognising my unique talent. Why am I not getting the opportunities that other people get? How do you deal with such feelings? I remind myself that life is a series of lessons, in life you can’t lose if you learn the lesson and develop knowledge that will serve you well in the future. I never wallow, I remind myself that life is energy and that only positive energy through positive thoughts will make me win. What would you like to be remembered for, what difference would you like to make in this world? 1. Building Social Businesses: Changing the face of business by building businesses that show us that being socially focused can be profitable for our communities and our businesses. What do you do on a daily basis to grow yourself as an entrepreneur? Try new things, always have a goal either daily or weekly. Please share a teaching you would like pass to start-ups. You can be the most amazing start up in the world but you will not succeed until you learn to manage opportunity! Tell us what inspires you as person? I’m inspired by the knowledge that we all have the capacity to change the world for better.